WordPress is an extremely versatile platform. It was originally created for blogging but nowadays people use it for all kinds of websites. If you are planning to set up an online store then you should take advantage of this amazing platform. 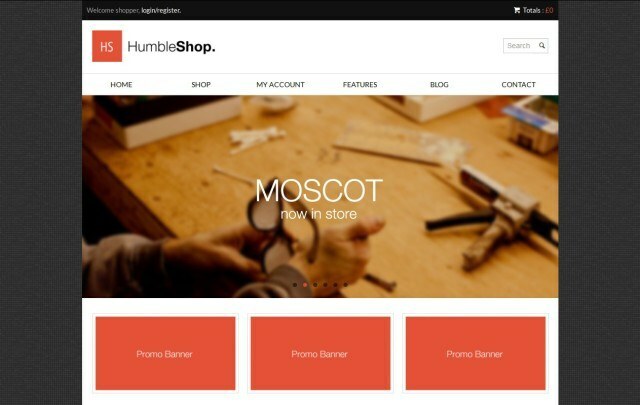 Following are some excellent wordpress store themes which you can use to create a fully functional e-commerce site without touching a single line of code. Many of the following themes have integrated shopping cart systems so you don’t need to struggle with complex code and resource-intensive scripts. 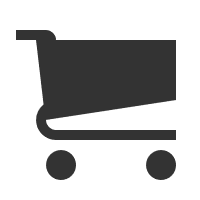 Need hosting for your web store? Click here to compare the 5 best WP hosts. Shopkeeper is one of the most advanced WordPress store themes available on the internet. It was specifically built for the eCommerce niche and its authors relied on feedback from thousands of ThemeForest customers to create it. 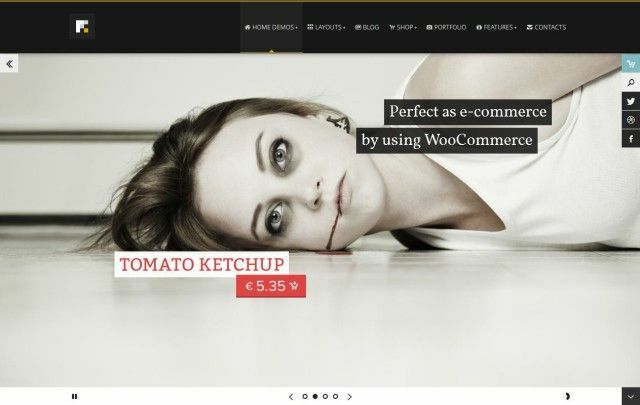 Since WooCommerce is the driving force behind this modern WordPress theme, it has all the features you need to create a fully equipped eCommerce website and, thanks to its flexible framework, you can also use this versatile theme for other purposes as well. It’s also bundled with the Visual Composer and Slider Revolution plugins. 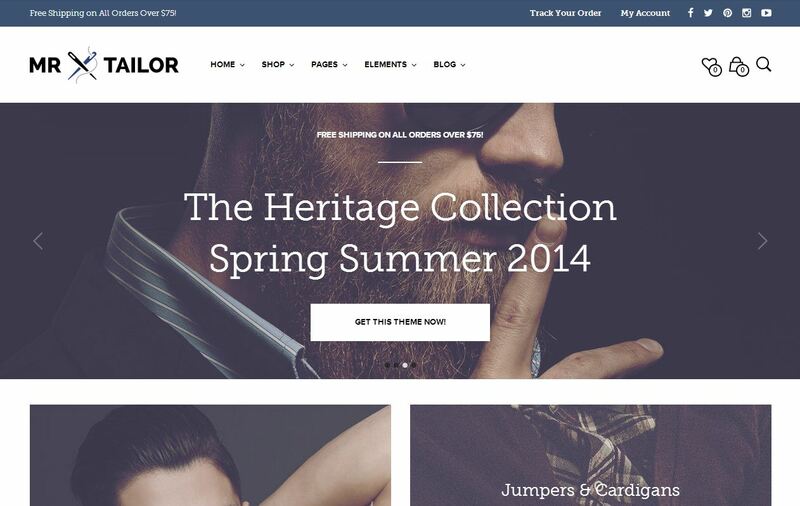 Mr Tailor is a beautifully-designed WordPress store theme, fully responsive and translation-ready. Better yet, version 2.0 has recently been released after nearly a year in design and development. The authors have taken a premium WordPress theme and practically reinvented it to make it even better. 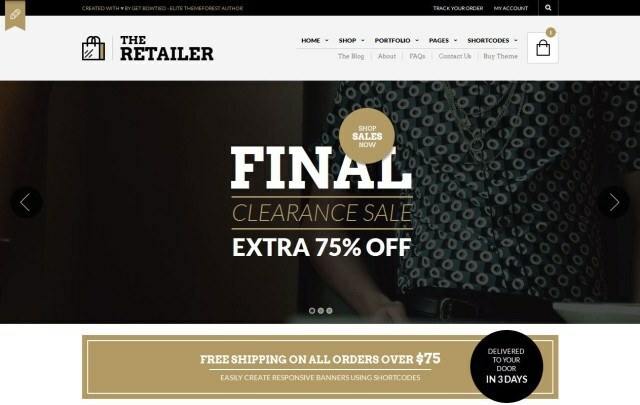 Take advantage of this top-notch WordPress theme, it’s an all-in-one design solution that you can start using within minutes if you want to easily become the proud owner of an eCommerce website that both your customers and the search engines will love. Flexibility is a key component, so, if needed, the theme can be used to quickly create any genre-specific site design by switching off the eCommerce features. 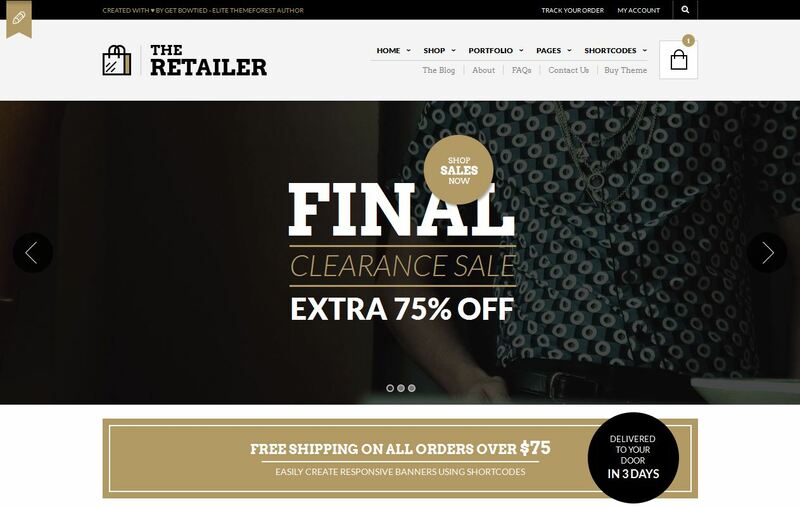 The Retailer is a stunning top selling WordPress eCommerce theme that packs everything you expect to get from a modern theme.This theme has been a hit from day one. Design hasn’t been an afterthought for its creators, as the tiniest details have been taken into consideration. This responsive theme integrates perfectly with WooCommerce and it comes with beautiful pre-built layouts, homepage variations and custom eCommerce features. The Retailer does all the hard work it takes to create a great online shopping experience for you. RGB Store has a very clean layout and pleasant color scheme. However it doesn’t come with a built-in shopping cart system. Fortunately you can use WordPress Ecommerce Plugin to solve this problem. The theme also requires a couple of other free plugins which you can download from WordPress.org. Go to the download page for more details. OSComm is a multipurpose theme perfect for WordPress stores. The default graphics are related to computer/gadgets but you can use it for any kind of e-commerce site. It requires WordPress Ecommerce, Yoast breadcrumbs, Page Navi and a few other plugins for proper functioning. 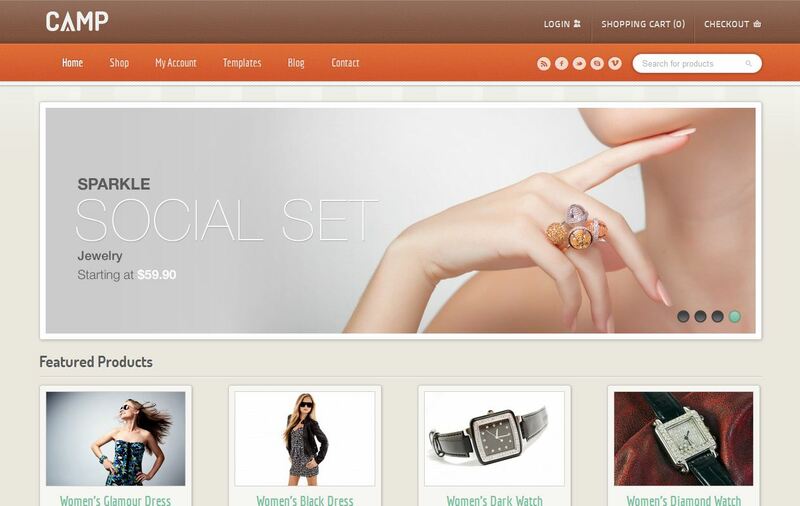 With Kauri anyone can build a fully functional online store in minutes. It is compatible with WordPress E-Commerce as well as Woo Commerce. The design is fully responsive. In other words it looks great on every popular device available in the market. However to make the most of this theme you will have to upgrade to the latest version of WP. Camp has a simple yet elegant design. It is not as feature-rich as Forte, Enfinity or some of the other themes listed here but it has everything that an online store needs. In addition it is very fast so you can easily use it on a shared machine or low-end Virtual Private Server. Some of its distinguishing features include full Retina support, responsive layout and unlimited color combinations. According to the creators of Kallyas, it is “the most complete theme ever created”. It has hundreds of amazing features and one of the most stunning designs we have ever seen. Every single element of this WordPress shop theme has been created with the utmost care and attention to detail. Want to blow away your customers and maximize your online profits? If yes, Kallyas is the theme you should choose. 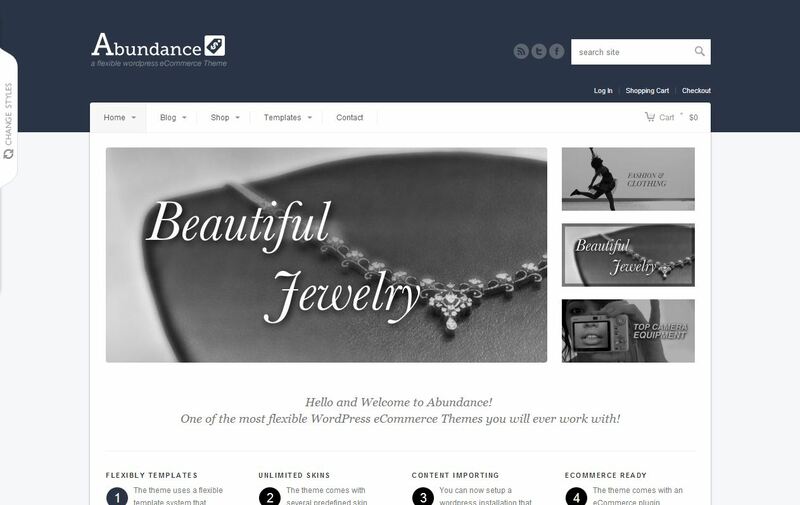 Available in 16 elegant skins, Abundance is the theme of choice for serious business owners. It has clean, semantic code which can easily be indexed by search engine bots. It also has gives you the ability to interlink related content easily. These things makes it one of the most search engine friendly themes out there. The only downside that you need to keep in mind is that this theme has a fixed layout, which means it might not look good on mobile devices. 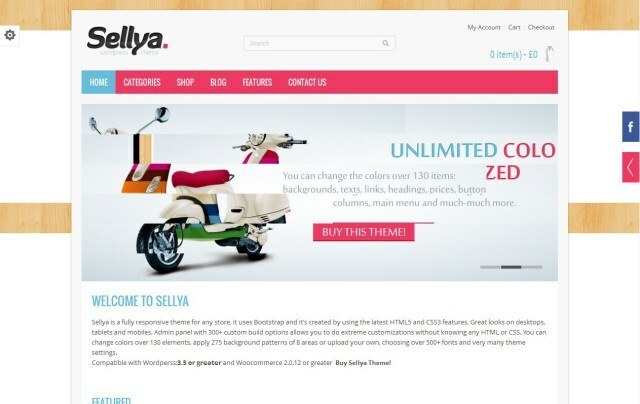 Sellya comes with seven beautiful-looking skins. Each of these skins has been created with a specific eCommerce niche in mind. For instance, Sellya Kids is perfect for websites that sells kid’s products, Sellya Electronics can be used to create a gadget store and so on. According to the authors of this theme, all included skins were created with just the admin panel which means you can easily create your own. The admin panel has well over 250 customization options. Neighborhood has a dizzyingly long list of powerful features and customization options. It was created with the help of Twitter Bootstrap framework because of which it is fully responsive. The creators of this theme have tried to make it as comprehensive as possible. Even hard-to-find eCommerce features like product zoom, order tracking and wishlist are readily available. If you have zero web development experience yet you want to create a website without any help then Neighborhood is a great option. 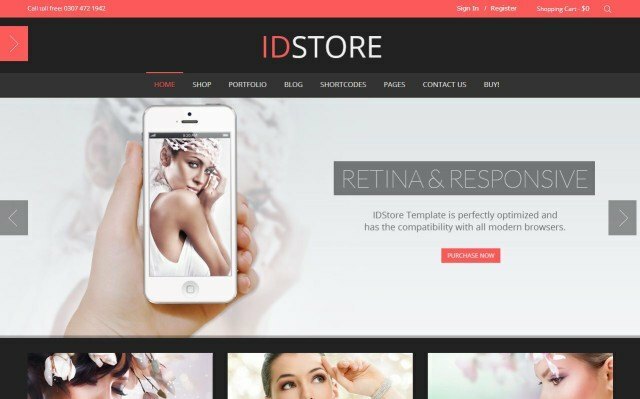 IDStore has a clean and minimalistic design with lots of white-space. It can be used as an effective starting point for creating powerful online stores. 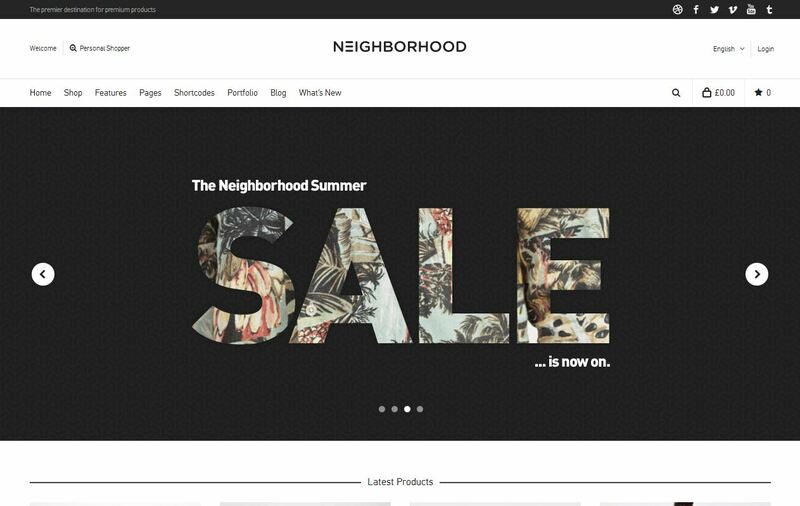 By flipping a few switches in the control panel you can change the header design, the color scheme and the skin of this elegant WordPress store theme. 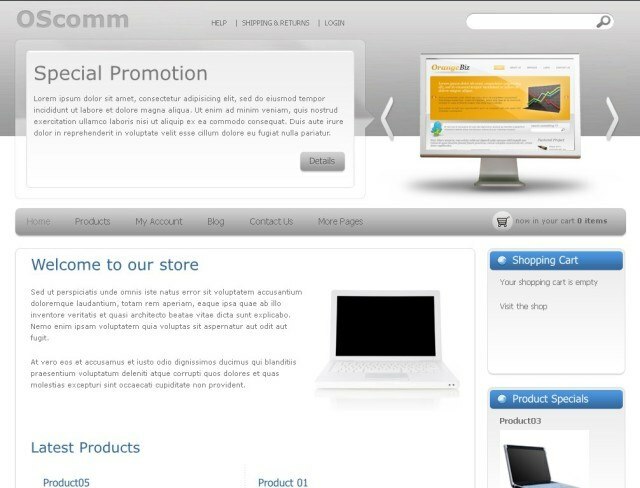 It also has a special mode in which all product prices are hidden and your website essentially turns into a catalog. Mazine has a huge array of features and some great customer reviews. It is light weight and has been optimized for search engines. On the downside the design is a bit too simple for most niches. 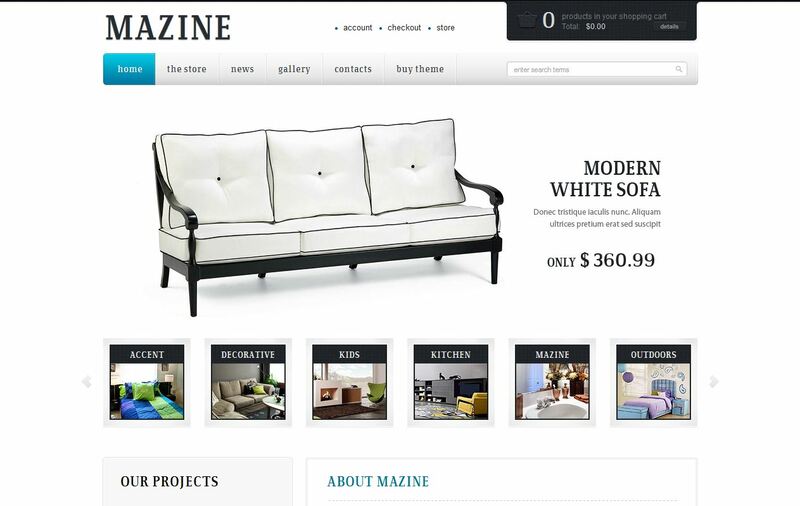 Still, Mazine is a pretty decent ecommerce theme. 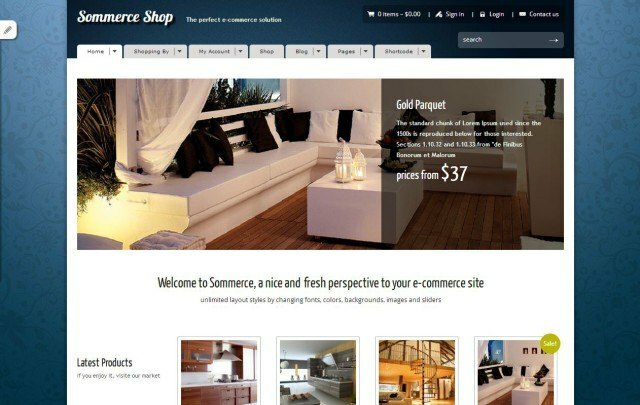 Sommerce is a beautiful theme compatible with JigoShop as well as WooCommerce. It comes with more than 60 custom backgrounds, 10 custom headers and dozens of other customization options. Just by changing a few settings in the control panel you can make it your own. 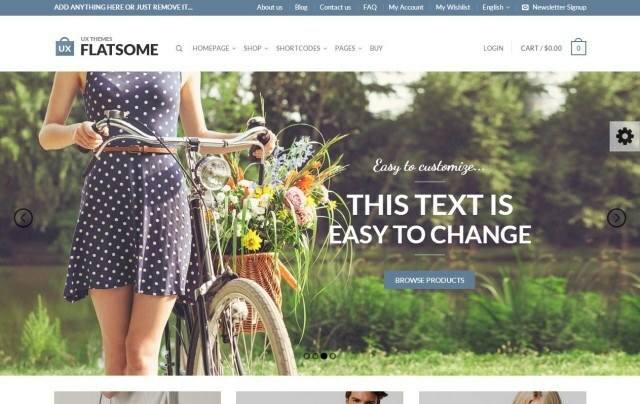 Powered by the ever-popular 960-grid system, Sommerce is a WordPress store theme that can be used to create an online store for any industry. 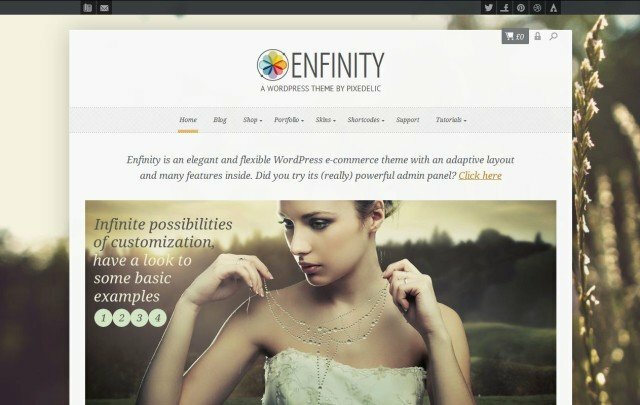 Enfinity is compatible with almost every popular plugin out there including WooCommerce, BBPress, WP Super Cache and WordPress Multi-User. Like Forte it comes with unlimited customization options. With a little effort you can create a website that is not only professional but is also completely unique. Alternatively you can select one of the five ready-made skins from the admin panel. Another great thing about this theme is that it comes with a number of useful video tutorials. 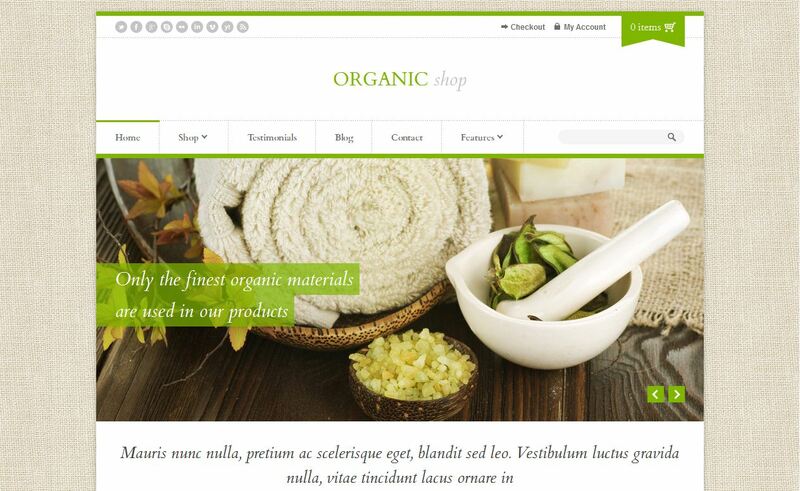 As the name suggests, Organic Shop is a wordpress theme designed for stores that sell organic products. 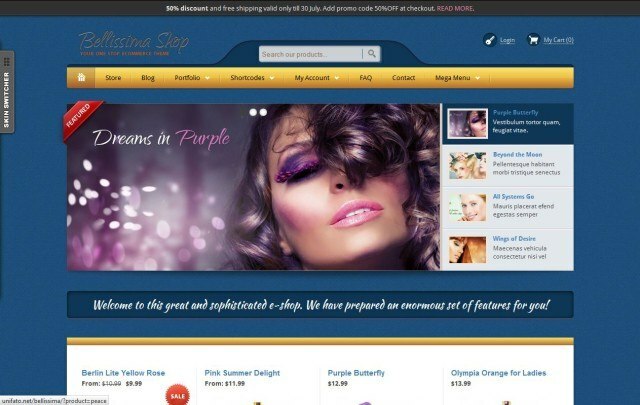 The eCommerce features are completely optional so if you own a spa or beauty salon purchasing this theme might be a good idea. The frugal, elegant design and gentle color scheme will work wonders for your online business. 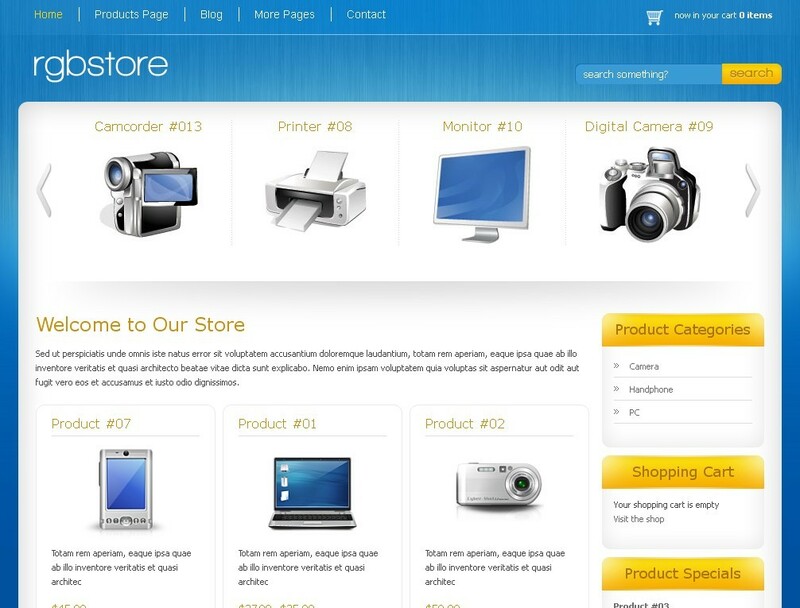 Bazar Shop comes with tons of special features like image zoom on product pages, elegant popups and a catalog mode. These features are very hard to find in e-commerce themes. Another thing that makes it stand out from others is it’s search engine friendly coding. The designer must have given special attention to SEO while creating the theme. If you want your products to rank high on SERPs then Bazar Shop can help you. 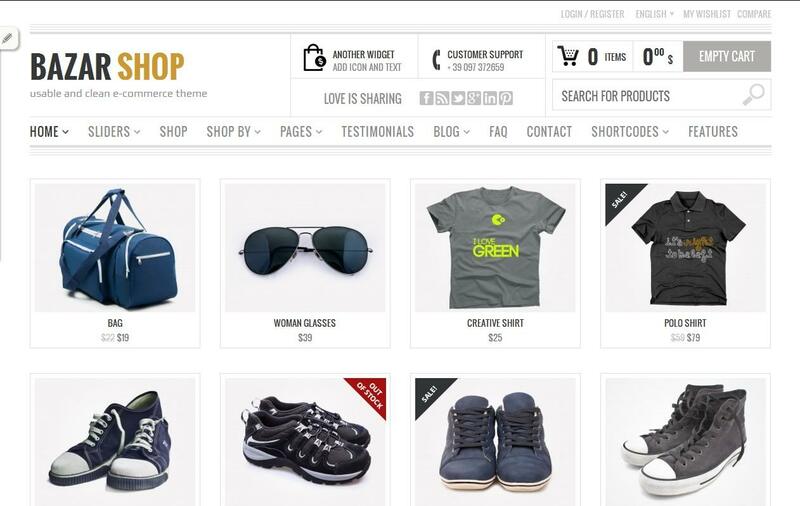 ShopPress comes with many eCommerce features and is fully compatible with WooCommerce. However the e-commerce features are optional so you can use it on any type of website you want. Since the homepage is entirely based on shortcodes you can easily move things around to create the layout you want. On installation it automatically creates all the necessary pages so that you can start selling your products within minutes. 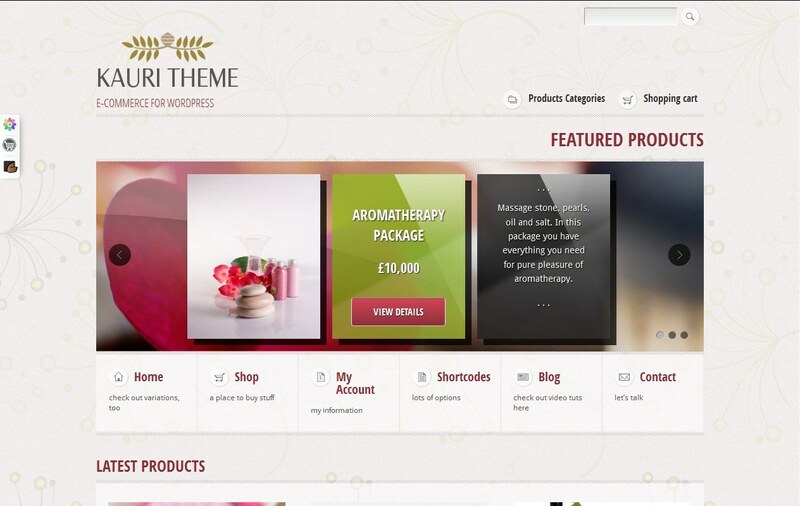 Forte is a robust wordpress store theme. It has several useful features but the thing that makes it so powerful is its page builder. Using this feature you can create any type of page you want without having to fiddle with any complicated HTML, PHP or CSS code. Two skins are included in the package. However you can very easily create your own skin to make sure that your site is different from all the other websites using this theme. Another great theme with minimalistic design and responsive layout. Like Bazar Shop this theme also comes with many advanced SEO features that can help you get to the first page of Google and maximize your earnings. Bellissima has several brightly colored skins, floral background patterns, jQuery powered UI elements and much more. The design of this theme is ideal for a cosmetics shop or an online boutique. If you have been trying to find a vibrant and refreshing design that can help you convert first time visitors into regular shoppers then look no further because Bellissima is what you’ve been looking for. This theme has dozens of demos showing all the amazing ways it can help your online business. You can mix and match the features to build a truly unique experience for your users. The thing that I particularly like about the creators of this e-commerce theme is that they keep adding new features on the request of their users. So, if you have something special in mind but you haven’t been able to find it anywhere you can make a request and it might get included in a future version. 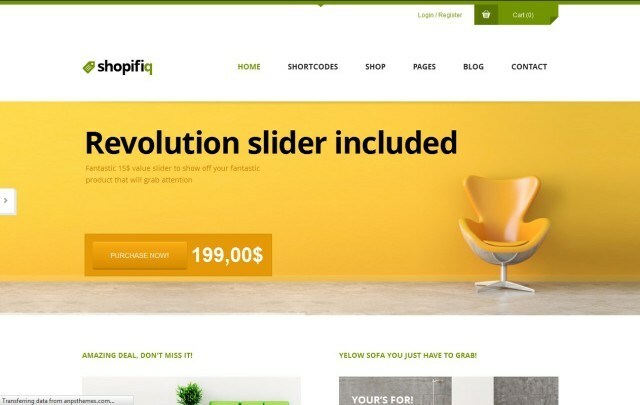 Shopifiq has features that make it perfect for large e-commerce sites. For instance it allows you to display all your products and best sellers in an uncluttered way. The design is 100% responsive and automatically adapts to user’s screen size. Optionally you can turn on the “responsive on demand” feature so that your visitors can choose whether they want to see the original version of the site or the one created for their specific screen type. Flatsome is an eCommerce theme inspired by flat web design principles. It has fully responsive layout (even the sliders and carousels are touch optimized). In addition to providing a plethora of built-in features it also comes with several optional plugins. People have nothing but good things to say about this flexible WordPress store theme. 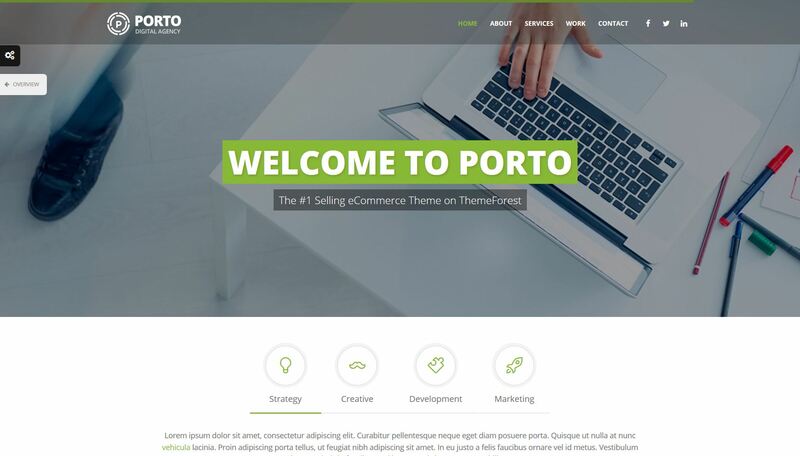 With stellar reviews and thousands of customers, Porto is a WordPress shop theme that can help you sell online no matter what your niche is. 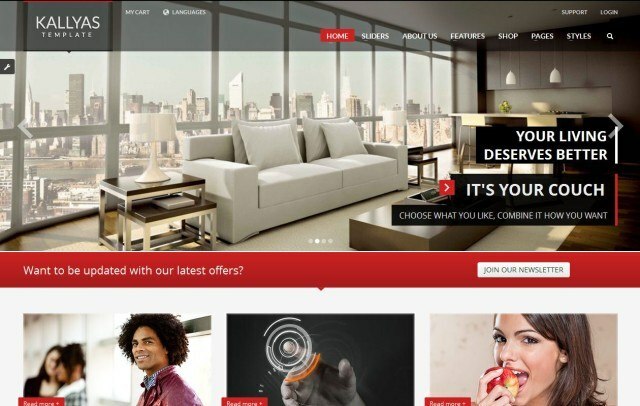 Most e-commerce themes out there are geared towards a very specific target market but Porto is not most themes. It doesn’t matter whether you run a construction business or a web design agency, Porto can help you thanks to its wide range of ready-made templates and customization options. Take a look at the demos to look at the different versions. There are dozens of scripts and content management systems available in the market but none of them gives as much flexibility as WordPress. This software also boasts a very large user base and finding help is not difficult at all. With the above mentioned wordpress store themes you can easily build a profitable business empire.